Well, it's finally time for me to buy a PS4. I avoided it for a year and a half because there weren't any games that I cared to play that weren't also available on PC or PS3. But, since Bloodborne is a PS4 exclusive, and I'm a huge Demon's Souls and Dark Souls fan, I had to cave and buy the new console in order to play this game. Luckily for me, this game is good enough to be a console-seller, and I don't regret my purchase one bit! Bloodborne is finally here! 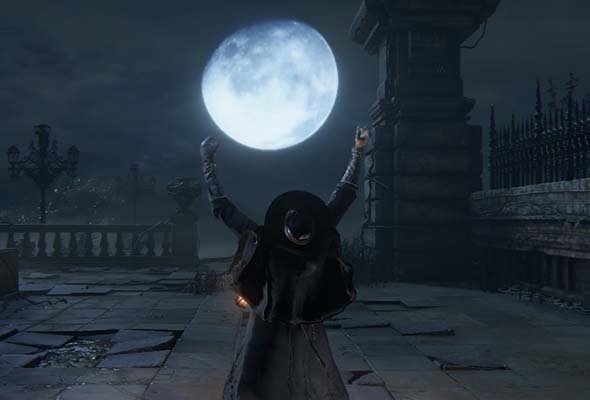 Praise the moon! Mechanically, Bloodborne does not deviate significantly from its Souls predecessors. Most of the controls are the same, and the game was immediately comfortable for me, being that I'm an experienced Souls player. But the way that the game is played deviates significantly from the previous games - much moreso than Dark Souls deviated from Demon's Souls. 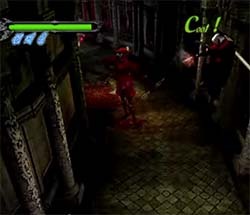 The three Souls games strongly favored defensive gameplay tactics and a more cautious, patient style of combat. Dark Souls II tried to encourage faster, more aggressive gameplay by further developing two-handed melee combat, but that only applied to specific character builds and was only moderately effective. Bloodborne enforces an aggressive model as practically the only viable one. Bloodborne removes the comfort and security of a shield and replaces it with a steampunk gun. The gun's range is limited by the ability to acquire a target lock-on, and there's no manual aim that I'm aware of, so you can't sit back and snipe enemies from a safe distance. Some of the functionality of the shield does carry-over to the gun though. 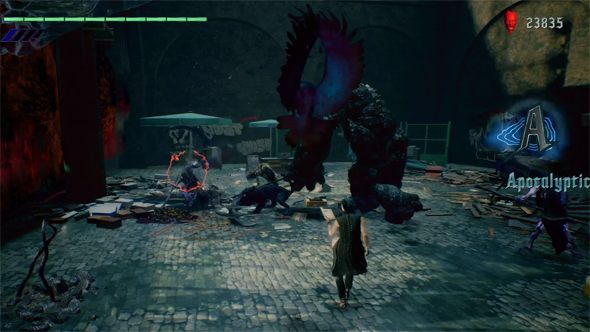 For example, shooting an enemy as they attempt to attack you will stun them, and you can follow-up the "parry" with a critical "visceral attack". But since this is a gun and not a shield, you can perform this parry at range, which opens up some new tactical possibilities. 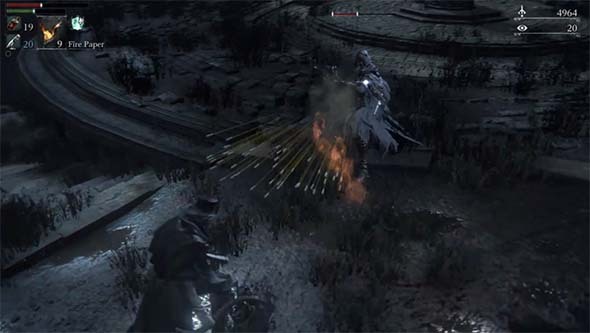 Bloodborne adds guns to the familiar Demon/Dark Souls formula, but still encourages aggressive, in-your-face combat. And since you don't have a shield, you're going to take a lot more direct hits than you would in the previous games. In order to offset this, you can regain some of your lost HP by attacking an opponent immediately after taking damage and infusing yourself with their blood. Literally. There is a lot of blood in this game, and it will stick to your character and soak you from head to toe if you survive long enough. These features strongly encourage more active and technical play, since you're more likely to survive by counter-attacking than by running away and hiding. You can't get away with just holding up your shield and tanking through levels with the basic 3 or 4-hit sword combos. You need to learn the more advanced maneuvers and techniques that the game offers, and you need to use them. This keeps the player in the thick of the action and the pace of the game on overdrive. It also adds a lot of apprehension, since you can't run around the level with a shield up in case an enemy jumps out at you. You constantly feel exposed and vulnerable. These changes don't necessarily make the game "better" than the Souls games, but they do encourage and reward better play. Both models are valid and fun, but Bloodborne does get the adrenaline pumping in ways that Dark Souls just couldn't [outside of PvP]. In fact, after playing Bloodborne, you may go back to Dark Souls (or Demon's Souls) and find that you're suddenly better at those games too! 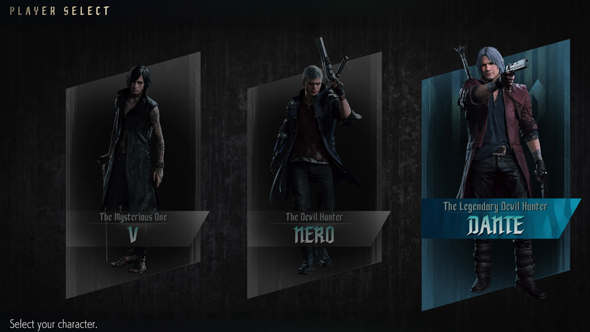 Similarities to Devil May Cry abound.